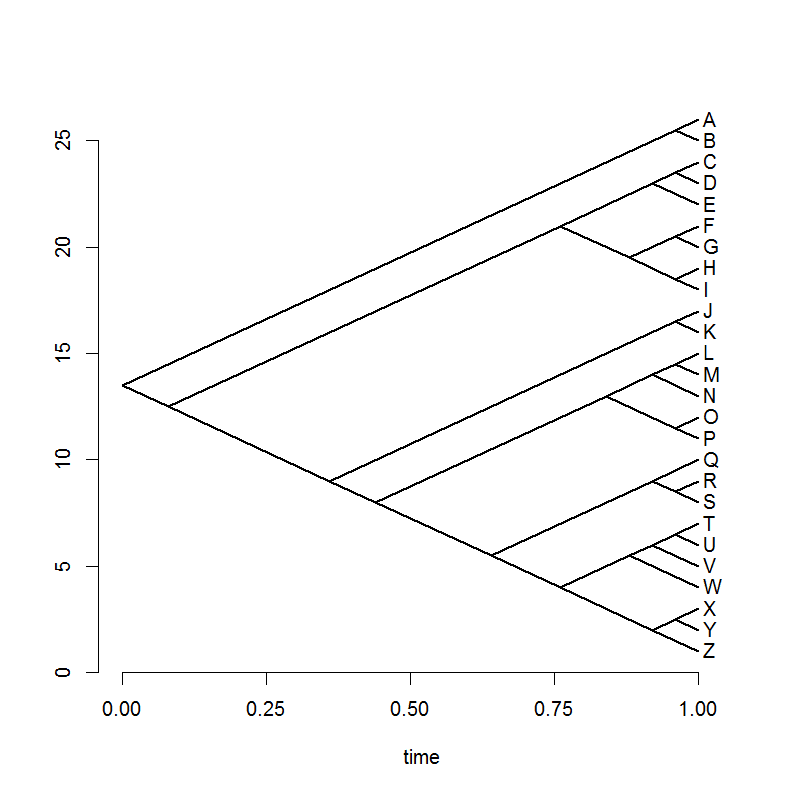 I inadvertently discovered the algorithm for plotting a right-facing slanted cladogram this evening. Basically, to get the vertical position of each internal node we just assign heights 1 through N to the tips; and then each internal node is merely the simple arithmetic mean of its descendants. We get the horizontal positions (the heights above the root) using the method of Grafen with ρ=1, implemented in the ape function compute.brlen. New version of fancyTree for type="scattergram"